Hayley Wateska was born and raised in Dallas, but has made Fort Worth her home for the past decade. 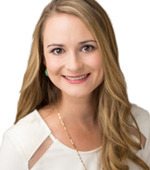 Hayley graduated from Texas Christian University in 2011 with her Bachelor of Fine Arts degree in ballet and then completed her Master of Education in counseling in 2013 from TCU as well. After graduating with both degrees, she began working with a local business consulting company focused on recruiting new producers for sales organizations. Her lifetime passion for ballet and dance shifted into a profession by performing for local companies as well as teaching barre fitness classes, which she continues to do today. Hayley has always had a love for real estate and found that is the perfect mix of her creativity and counseling skills that she has acquired throughout her education. She is now dedicating the majority of her time to help Fort Worth residents find exactly what they are looking for when it comes to their real estate needs. You will feel at ease when working with Hayley as she strives to make the process as stress-free and memorable as possible. Whether you are purchasing your first “starter home” or selling your tenth home in your lifetime, Hayley is happy to assist you in the process! Hayley and her husband live in the historical Ryan Place neighborhood with their two dogs and cats.